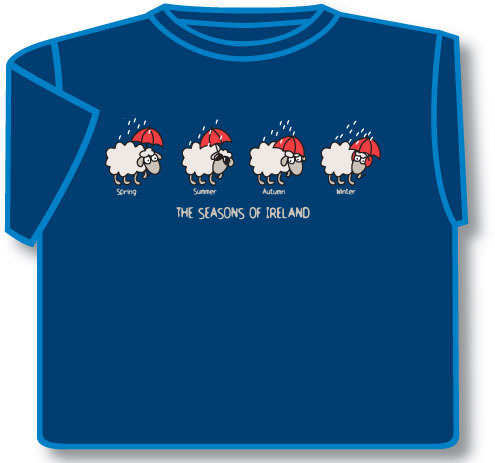 The seasons of Ireland are very accurately printed on this Irish t-shirt - rain and more rain! The Irish t-shirt is made of 100% premium quality cotton. Made in Dublin, Ireland.